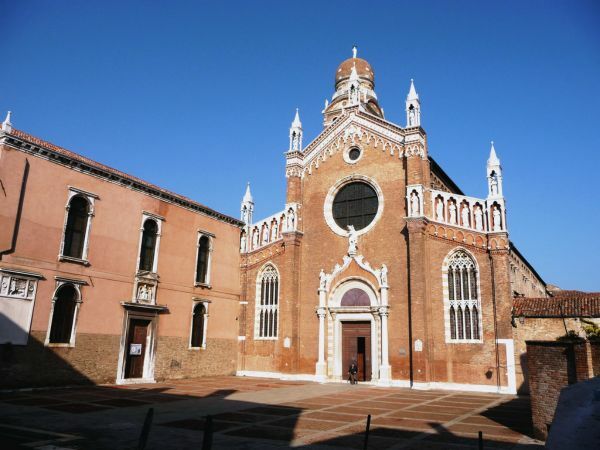 The Madonna dell’Orto is a church, in the Sestiere of Cannaregio, and it was initially dedicated to Saint Christopher, the patron saint of the gondoliers. 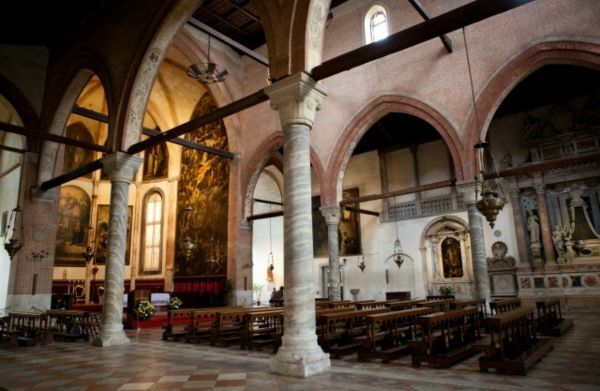 During the building of this church an unfinished statue of the Madonna, made by Giovanni de Santis (but also said to have fallen from heaven) and kept in an orchard (orto) nearby following its rejection by the Prior of Santa Maria Formosa, for which church it had been carved, started getting a reputation for glowing and working miracles. The church bought the statue and it was placed on the high altar. 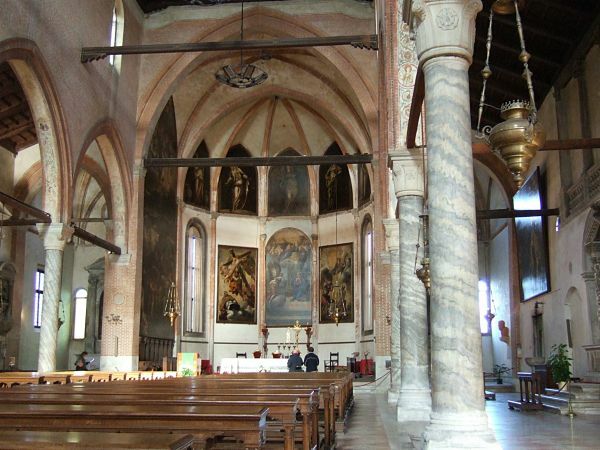 Since then the church has been known as Madonna dell’Orto.